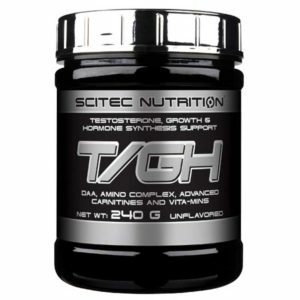 T/GH represents a new generation in the product category. 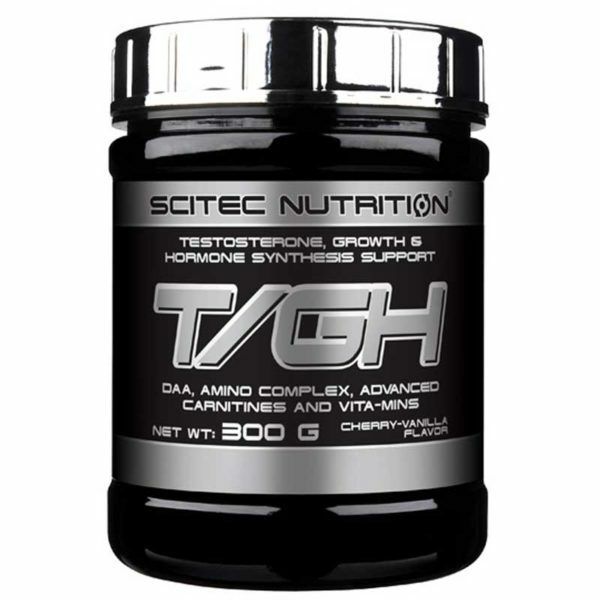 T/GH stands for: Testosterone, Growth & Hormone synthesis support. 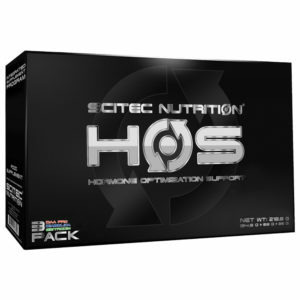 It provides a complex testosterone, growth and performance optimization support with 12 potent, select ingredients, such as DAA (D-aspartic acid), carnitines, AKG versions of arginine and ornithine, vitamin D3, boron and other essential minerals. Size: 300 g = 30 servings. Mix 1 serving (10 g) with 100 ml water daily and drink before going to bed. 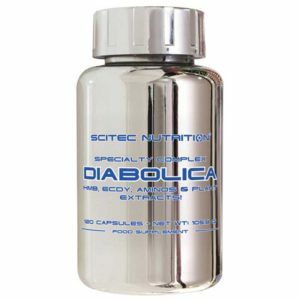 D-aspartic acid, flavors (vanilla, cherry), L-arginine HCl, anti-caking agent (tricalcium phosphate), acetyl L-carnitine HCl, glycine, L-arginine alpha ketoglutarate 2:1, L-lysine HCl, propionyl L-carnitine HCl, L-ornithine Alpha ketoglutarate 2:1, color (sulphite ammonia caramel), magnesium carbonate, sweeteners (acesulfame K, sucralose), boric acid, zinc sulfate monohydrate, cholecalciferol.